Announcing our upcoming “Ask the Expert” Facebook Forum on Youth Violence Prevention—we hope you can join us! 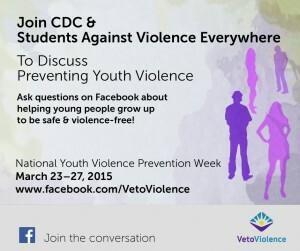 Stop by the VetoViolence Facebook page anytime during National Youth Violence Prevention Week—March 23 – 27, 2015—to join a discussion on this important issue. Experts from CDC’s Division of Violence Prevention and Students Against Violence Everywhere will join us throughout the week to answer your questions. 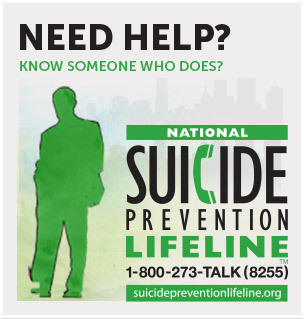 You’re also invited to share comments, ideas, and discuss solutions. Preventing youth violence takes all of us—working together—to find ways to keep our young people safe and help them thrive.